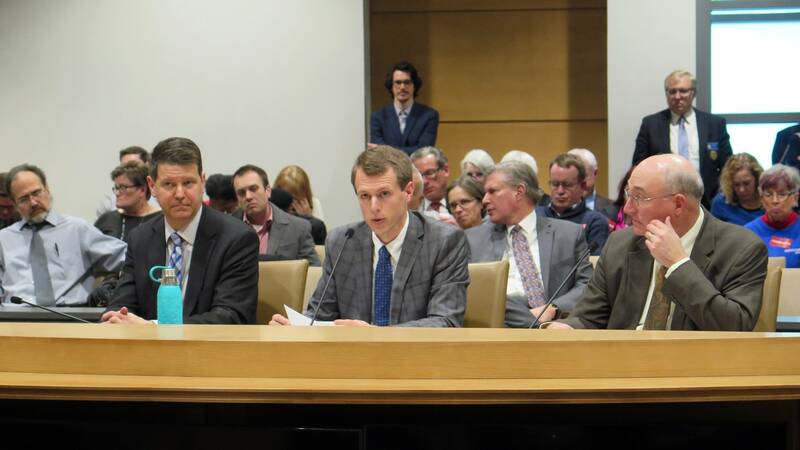 Xcel Energy is asking lawmakers for help anticipating how it will pay for the high costs of maintaining nuclear power plants that date back to the early 1970s, and on Tuesday the utility's plea got a positive reception from a state Senate committee. But the plan that's now heading to the Senate floor faces stiff opposition, including from Gov. Mark Dayton. 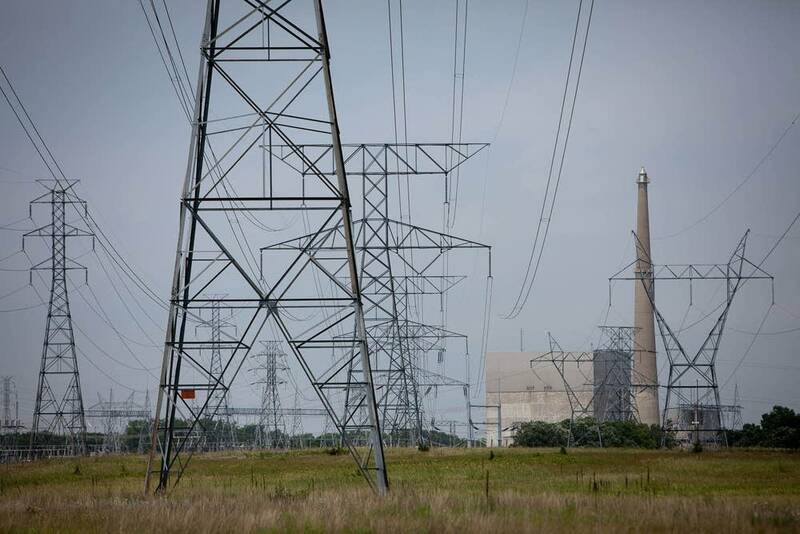 Xcel Energy wants to keep running its Monticello and Prairie Island nuclear plants for another 12 to 15 years, which utility officials say is critical to its goal to generate 85 percent of its electricity from carbon-free sources by 2030. Xcel president Chris Clark said wind and solar with battery storage just aren't ready to fully replace the nuclear behemoths that can provide reliable power 24 hours a day, seven days week. Clark told the Senate Energy and Utilities Finance and Policy Committee that people ask "Why we would put more money into the used car, the used car being the nuclear plants." He said the viable alternatives are costly, too. They include closing plants early, as has happened in other states, and building new natural gas power plants, which increases carbon emissions. "How can we maximize our carbon-free energy affordably and reliably and play out the options so we have the opportunity to explore innovation, technology," he said. "I think it's a tremendous opportunity that we have, but I also think it's a very serious one." The legislation, sponsored by Sen. Andrew Mathews, R-Milaca, would give Xcel a new way to recover the costs of operating Prairie Island and Monticello from its electricity customers. Right now, Xcel and other investor-owned utilities have to file multi-year plans with the Minnesota Public Utilities Commission. These resource plans detail how the utility plans to generate power — how much coal, wind, etc. Once a resource plan is approved, the utility decides how much to invest in different power plants and what repairs and maintenance are needed. Customers end up paying for those investments after the fact through rate increases — but only if the Public Utilities Commission determines that those investments were "prudent." 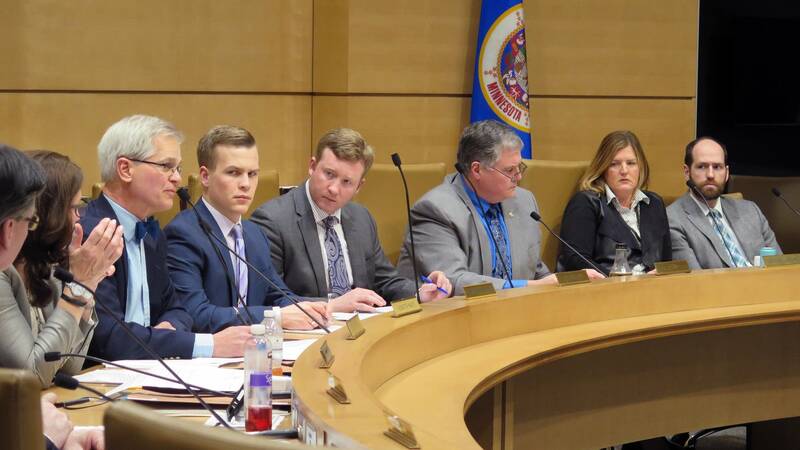 Mathews bill would let Xcel know earlier in the process how much it will be able to recover for costly work at Monticello and Prairie Island. Gov. Dayton indicated Tuesday he's not interested in circumventing the current process. "These end-runs through the Legislature to get special interests what they want violates the whole purpose of the Public Utilities Commission, which is to have an independent group of experts who make these determinations in the public interest," he said. Consumers actually need better protection from cost overruns, said Annie Levenson-Falk, executive director of the Citizens Utility Board of Minnesota. She notes that several years ago, project costs at Monticello were more than double what Xcel told the state they would be. Levenson-Falk said it's a complicated issue that shouldn't be rushed through the Legislature. "I urge you to take your time to develop a solution that will protect Minnesotans who will bear the cost of whatever is decided," she said. Also opposing the bill were the Minnesota Chamber of Commerce, manufacturers and several environmental groups.